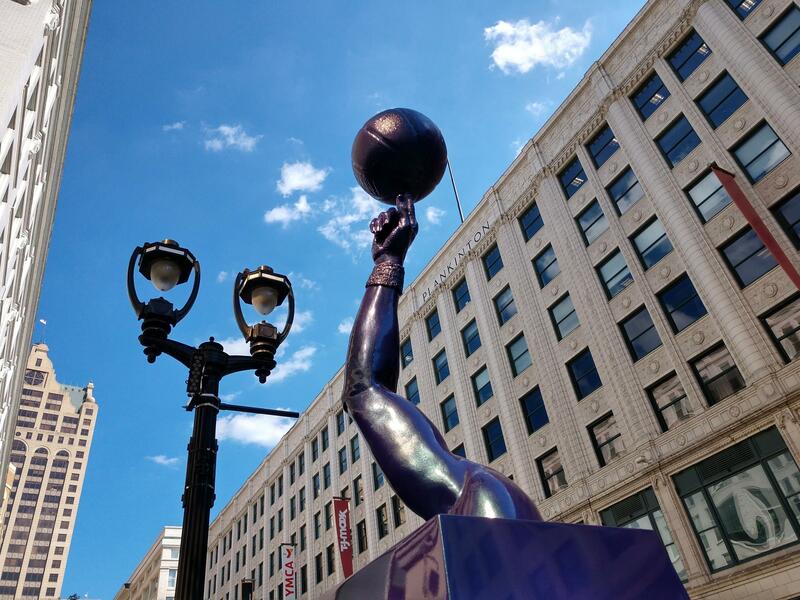 The display of remarkable sculptures along Wisconsin Avenue in downtown Milwaukee will wrap up Sculpture Milwaukee's second season in October. 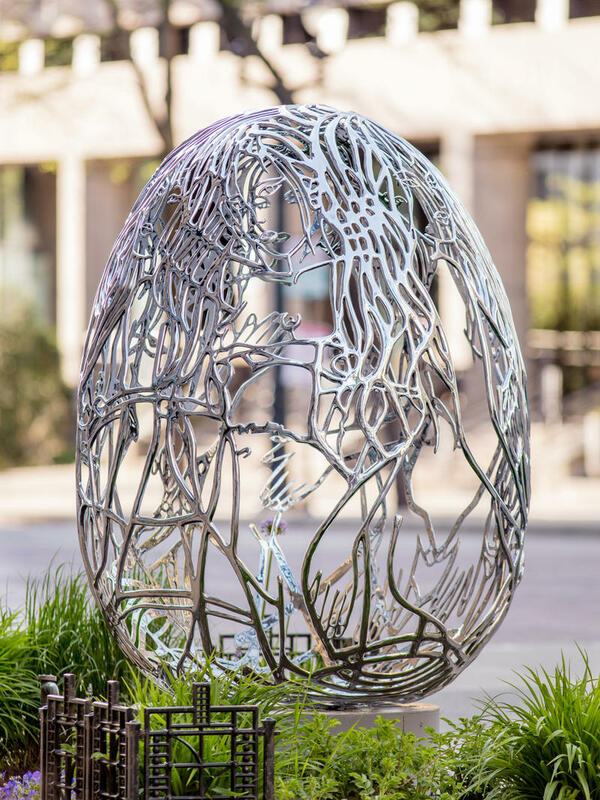 While residents and visitors alike can take a self-guided tour of the art, the complimentary Sculpture Milwaukee lecture series adds even more depth to the outdoor sculpture exhibit. But Desmond Mason is not your average art critic or your average artist. Mason majored in studio art at Oklahoma State University while playing college basketball. He was drafted by the Seattle Supersonics, playing for them for three years. Mason then joined the Milwaukee Bucks, playing for Milwaukee from 2003 to 2005 and 2007 to 2008, along with three other teams in his 10 years in the NBA. "Basketball was my 'job,' but art was my relaxation." "Basketball was my 'job,' but art was my relaxation time and so it was very protected for quite a long time," says Mason. He’s been a sculptor and painter since his childhood and now works full time as an artist — a career that has fulfilled him in a unique way. Artwork by Desmond Mason (center). "You could have a great game in NBA basketball or any sport where it’s a team sport and it took everybody. But when you’re a painter, or you’re an artist and you’re in your studio by yourself and you finish a piece and you get a critic come up and they go, 'That’s one of the most amazing pieces of artwork I’ve ever seen,' that is an amazing feeling," says Mason. Lake Effect's Mitch Teich with artist Desmond Mason. 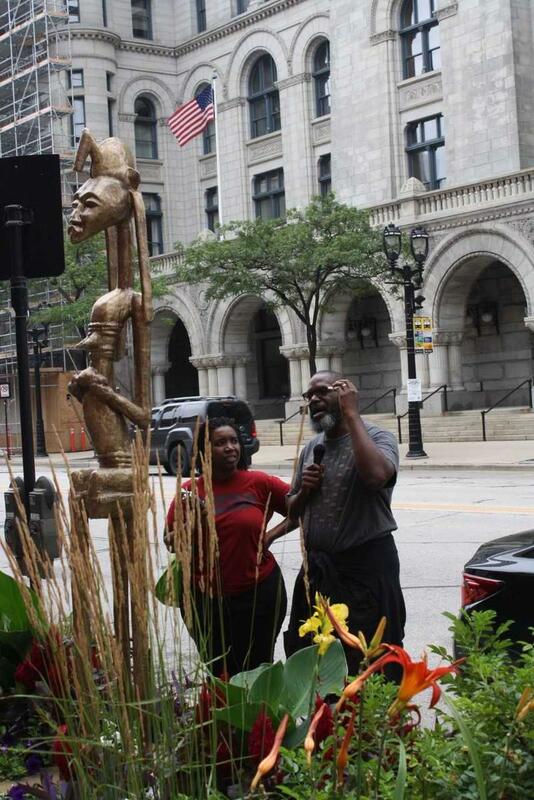 On July 21, Ex Fabula and Sculpture Milwaukee teamed up for the first of two special guided storytelling tours led by Ex Fabula storytellers Elaine Maly and Shawn Mitchell. These special storytellers shared their own stories inspired by select works of art from Sculpture MKE’s 21 piece urban outdoor exhibit. 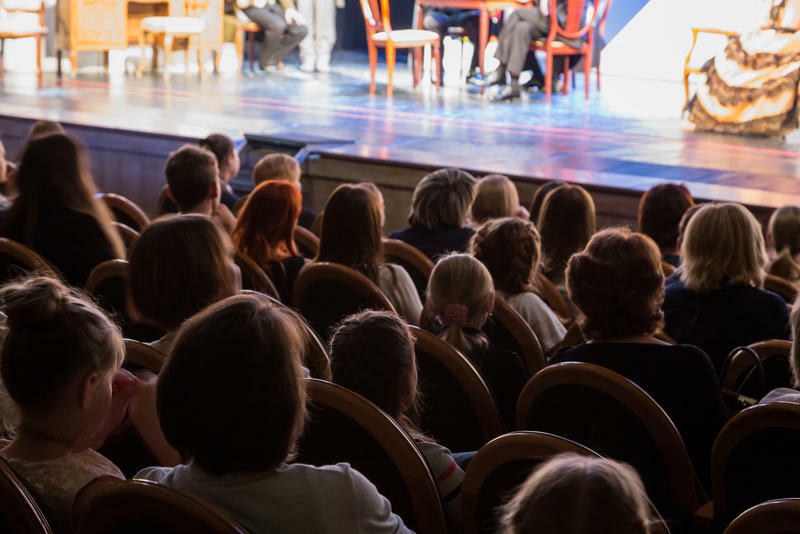 If you missed the Ex Fabula tour, you’re in luck. We have a few of those stories for you this weekend. Luckier still, the Sculpture Milwaukee exhibit is here through October so there’s time to take your own tour and see what inspires you.